If you’re a thrill-ride junkie like every member in my family, you know the feeling of excitement and adrenaline that rushes through you before the ride begins and the warm feeling of accomplishment after. And then there’s the craving to do it again...over and over again! It’s what motivates me, and millions of others, to head to their local theme park, or even travel thousands of miles, for the adrenaline rush. You could say I’m a card carrying adrenaline junkie and proud of it. If you’ve ever taken on the major Universal Studios rides, you know that this is the big leagues. 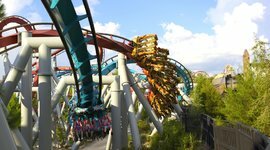 From tall, vertical drops to weightless “zero-G rolls,” this Orlando theme park can be one non-stop adrenaline rush after another. And it’s with the wind in my hair and a knot in my throat that I give you my top ten choices for the best Universal Studios rides. How about a zero to 40 MPH acceleration in two seconds? Or a weightless “zero-G” roll? And if that isn’t enough, the noise will certainly get you! The Incredible Hulk ride at Universal Studios is as thrilling as taking off in a jet plane without a windshield. 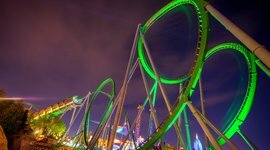 Reaching 167 feet tall with a top speed of 67 miles per hour, this roller coaster is THE thrill ride at Universal Studios. The lines for are pretty long in the afternoon and on weekends, so if you want to avoid them, head there when the park opens or on a weekday. Hollywood Rip Ride Rockit is something else! Why? You get to pick a song to jam to before jumping into your seat! 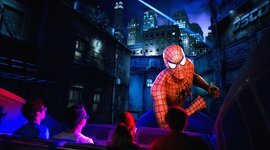 Climbing 17 stories above the theme park, this Universal Studios ride combines audio and special effects engineered to create a rip, roarin’ good time. With the world’s first non-inverting loop, passengers will be holding their breath for the first drop. Yep, this one’s popular, too, so jump in line when it opens. If a 185-foot drop, straight down sounds appealing, then Doctor Doom’s Fearfall is the ride for you. The arch-nemesis of the Fantastic Four, Doctor Doom is more than happy to scare you right out of your pants while harnessing the fear and screams from his latest experiment. 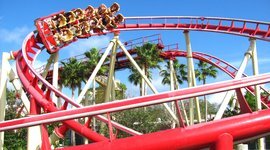 Using more thrust than a 747 jet engine to propel you upwards, without warning this ride at Universal Studios plummets to the ground and just like that the experiment’s over. 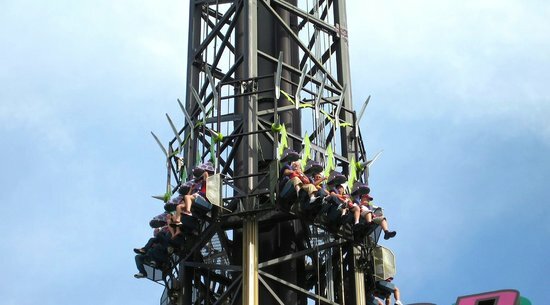 This thrill-inducing ride is rated for teens and older, but if you have a family member that meets the height requirement and wants to give it a try, go for it. 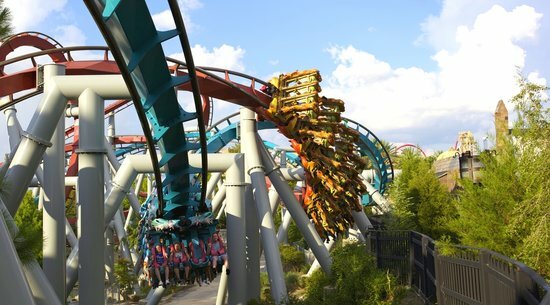 Even if you’ve never read the books or seen the movies, Dragon Challenge in the Wizarding World of Harry Potter: Hogsmeade is a dual roller coaster worth waiting for. Guests get to pick the “dragon” they want to ride and race the other coaster on track that loop and intertwine. All the while you get an outstanding view of the park – that is, if you can keep your eyes open. Each coaster is a different ride experience, and since there are two coasters going at once, the lines go much faster. The latest and greatest thrill ride at Universal Studios, Harry Potter and the Escape from Gringotts is a multi-dimensional adventure filled with 3-D graphics and special effects. 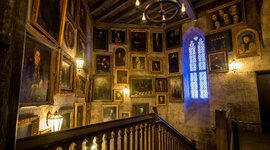 With an interactive line through Gringotts Bank and down deep into its cavernous vaults, the wait is definitely worth it. The bank’s goblins look frighteningly real and the interior is so true to the books and movies, you’ll feel like converting your dollars to wizard coin. 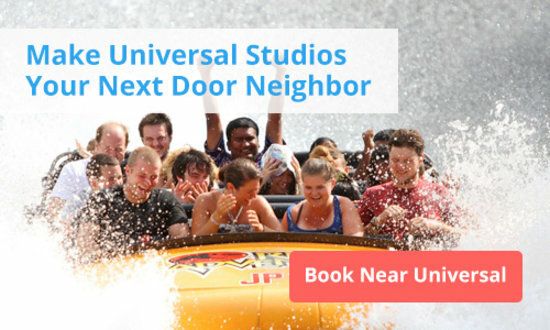 This Universal Studios ride is super popular and has lengthy lines no matter what time of day you go. The first Harry Potter thrill ride, Harry Potter and the Forbidden Journey transports guests on a whirlwind adventure with Harry and his pals. Once again, here’s another Universal ride where the line is a pleasure in its own right. You pass through the hall of Hogwarts Castle, past Dumbledore’s office entrance, and through the Defense Against the Dark Arts classroom, leading you to the roller coaster. 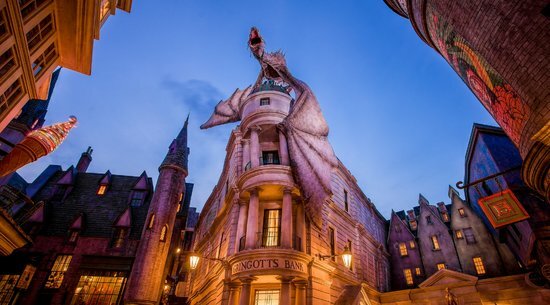 The line is not as long as when Diagon Alley first opened, but it’s still a good idea to hit this ride first thing in the morning if you don’t want to wait. 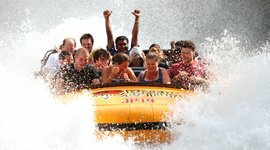 The ride begins as a leisurely water cruise through the jungles of Jurassic Park, and then like any good thrill, the raft veers off course and guests are taken to the restricted area of the park. With a broken fence in the Raptor pen, now you’re on the menu, as you try to flee the deadly T-rex! You take an epic 85-foot plunge, nearly escaping the jaws of these ferocious beasts, but not without getting wet. Straight out of the movie “The Mummy,” this one has all the makings of a top notch thrill ride, with incredible special effects and disorienting backwards movement. 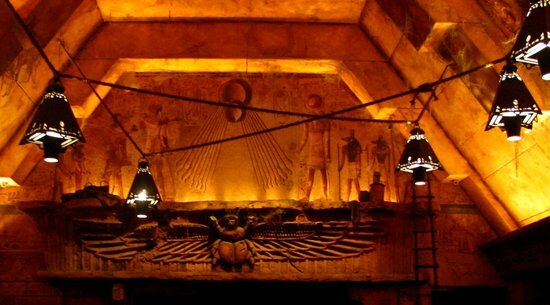 The ceiling lights on fire and the walls are crawling with scarab beetles, as you race to escape the clutches of the Mummy. With speeds of up to 45 mph, in pitch black conditions, you won’t know whether to hold your breath or scream. Riders are required to store their belonging in lockers before the ride. 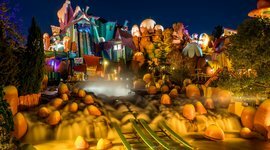 Dudley Do-Right’s Ripsaw Falls is a classic log flume ride that sends you over an impressive 75-foot drop. What’s great about this ride is that children can enjoy the thrill of the plummet right along with the adults. The cool story will have the younger ones laughing along. Recently updated to high-definition 3-D, The Amazing Adventures of Spider Man melds stunning effects with a simulated 400-foot freefall. Spidey tries to rescue the Statue of Liberty and it feels like you’re scaling and soaring through the air right along with him. My favorite part? 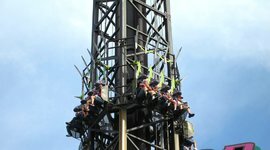 Even though the thrills are high, it’s a kid-friendly ride, great for the whole family! After all, you’ve gotta start them off early.